No one tells you get a blender pencil when you get your color pencils. Blend without any liquids or special pens. 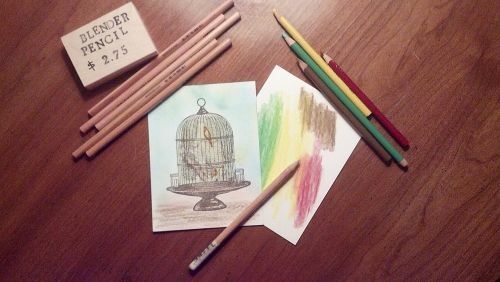 It is really easy to use the colorless blender pencil with your wax pencils, (not watercolor), to blend away coloring lines. The wax pencil has no color so you only need to burnish the colored surface to create a smooth even finish. Just rub off to clean or turn once in a sharpener. Use the artist's secret pencil to make your artwork look incredible.